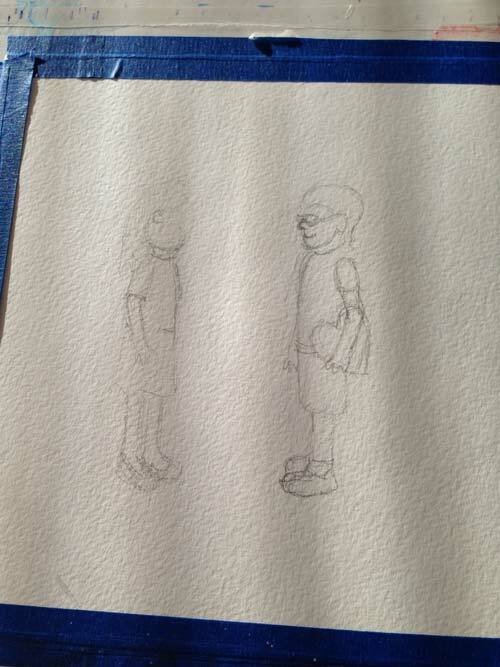 A while back, I worked hard to learn about illustrating in a “children’s book style.” I really studied up on it. (See below for the links to the posts I wrote on my progress.) 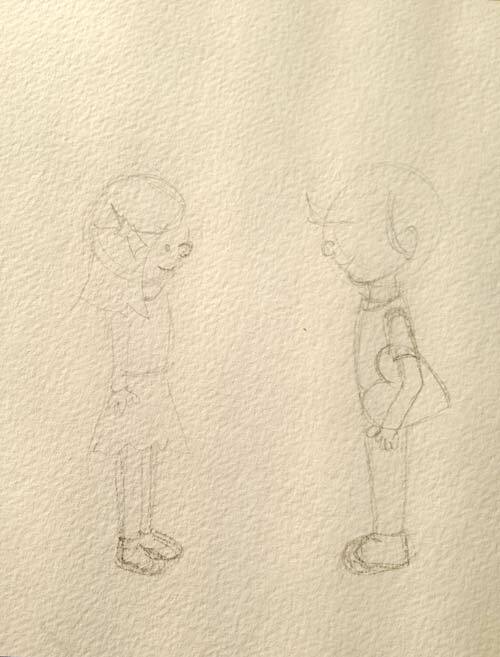 This week I wanted to do a cutesy illustration of a boy with a box of chocolates and a little girl. I first bought a box of chocolates – we all need a little chocolate, right? Then I had my ten year old, pose with the chocolates under his arm and then as the opposite figure. I didn’t want the illustration to be realistic, but I figured having some reference photos would be helpful. I went straight to my watercolor paper (taped down on a board), and drew with pencil. I didn’t like it at all. My son looked more like a man than a boy, and there was nothing cutesy about the illustration. Following this advice, I made the heads bigger and rounder, and the bodies smaller. The illustrations definitely looked cuter. I went back to my watercolor paper, erased the original illustration, and started over, following the style from my sketchbook. 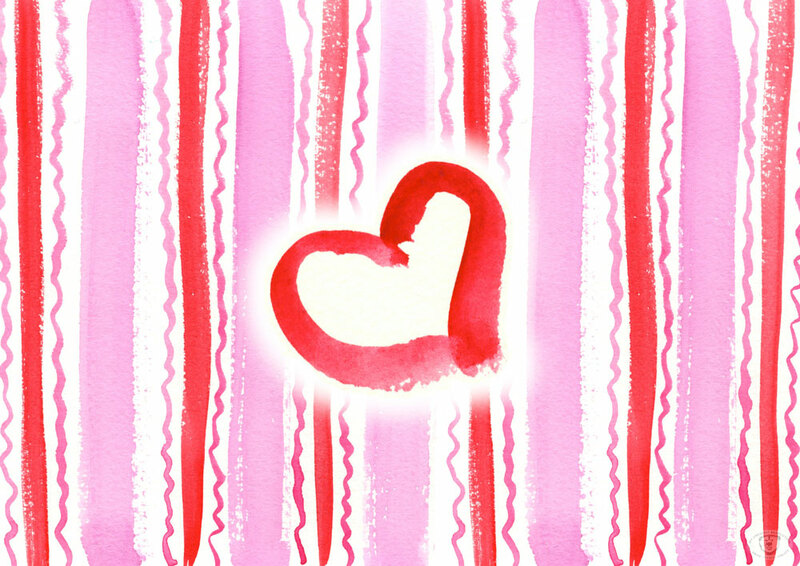 I thought a heart behind them would really emphasize the theme, so I painted a pink heart and a red background. 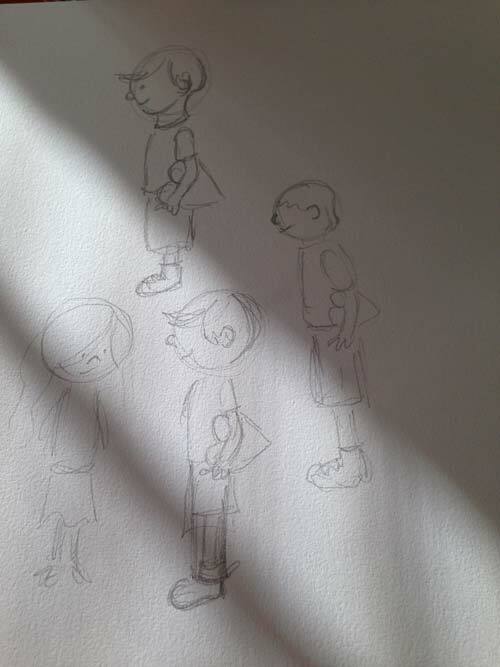 Then I used my pen to create the ink outlines, using the pencil lines as a guide. I waited a bit, so I was sure the ink was dry, and erased all the pencil. I thought about the color palette I wanted. Instead of using blue from the tube, I added pink to it, to mute it, and make it work better with the pinks and reds. I’m happy with the results, especially compared to my original illustration. Have a wonderful Valentine’s Day. Lots of love from New York! And if you are also in the Northeast – stay warm! 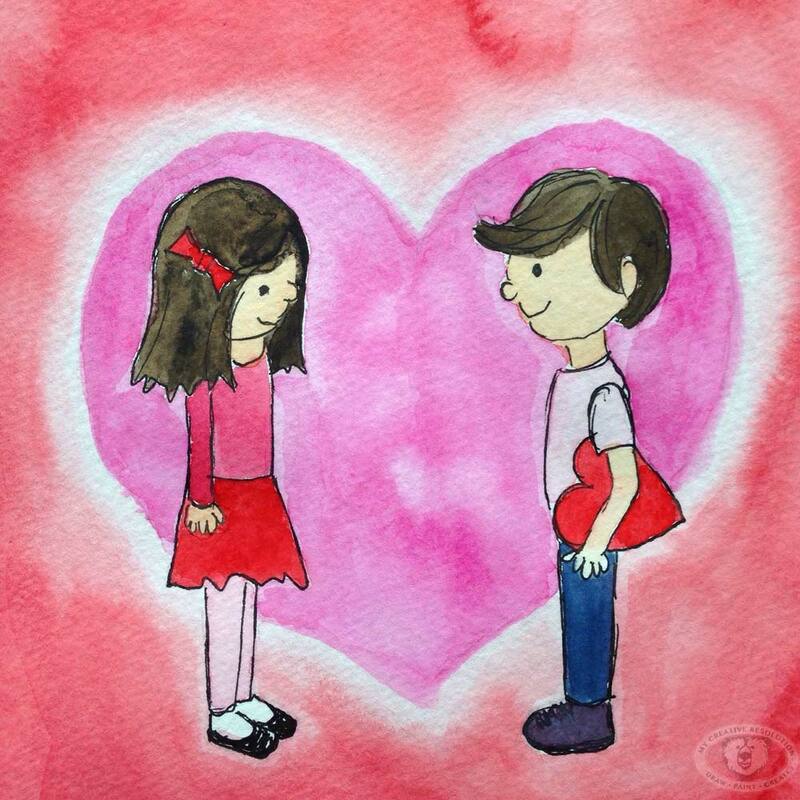 Categories: Illustration | Tags: children's book, children's illustration, heart, hearts, illustration, painting, Sketch, sketchbook, Valentine, Valentine's Day, watercolor | Permalink. 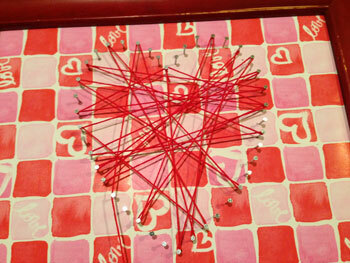 Try String Art! 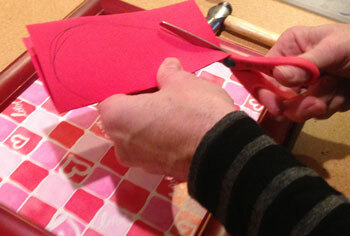 A heart shaped tutorial. I’ve been wanting to try string art for months. 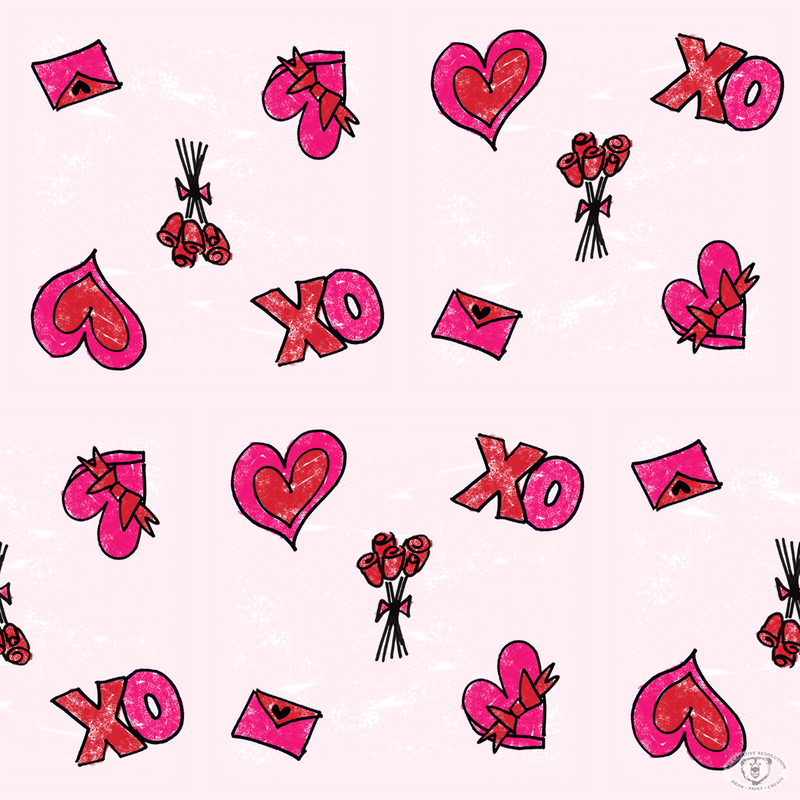 When I saw my Valentine’s Day pattern printed – I knew it would make the perfect background. 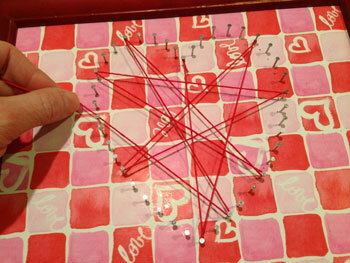 Have you been wanting to try string art? If so, gather these materials and read on. 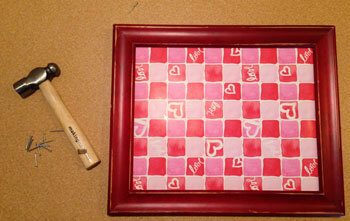 Take the glass out of the frame and use the frame backing to cut the cork board, cardboard pieces, and patterned paper. 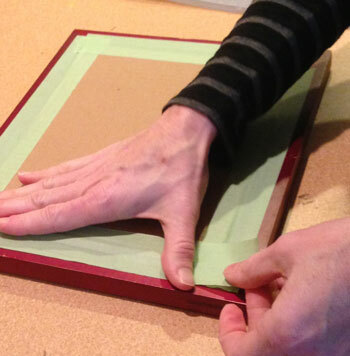 Place paper and cork board (facedown) into the frame. Put one – three cardboard pieces behind it. 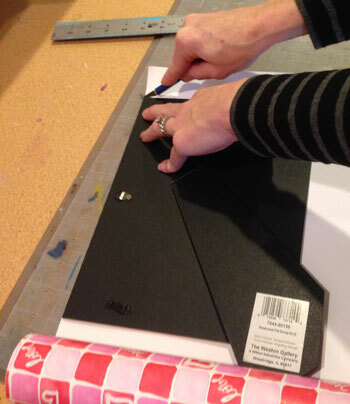 If frame backing fits, use it. 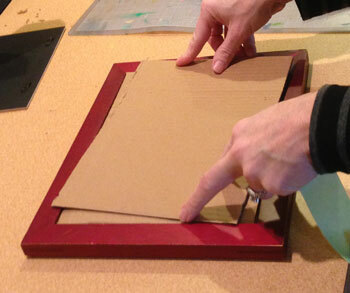 Otherwise use tape to secure cardboard to the back of the frame. Use enough cardboard for a tight fit. Flip frame over. 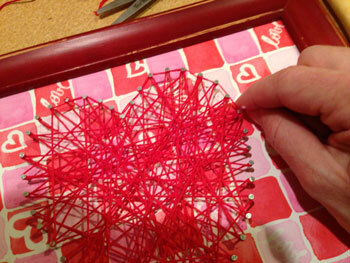 Place heart in the center of the frame and use a nail to poke holes (equally spaced) around the heart. 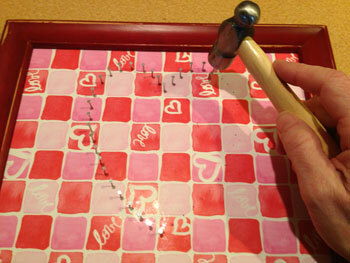 Remove the heart and hammer nails into the holes. Knot one end of the embossing string to one nail. Trim loose string. 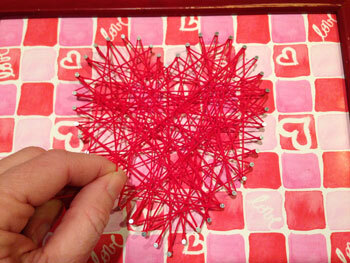 Wrap string around a nail on the opposite side of the heart. I wrapped the string fully around the nail, before string the next nail. 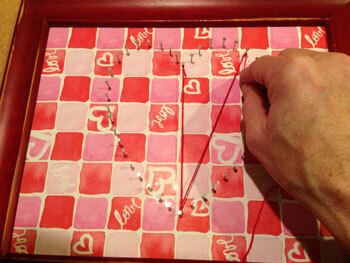 Continue stringing the heart by wrapping around nails on the opposite sides (randomly). 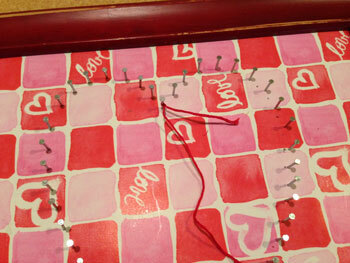 String until the heart is filled in, and every nail is wrapped at least once. 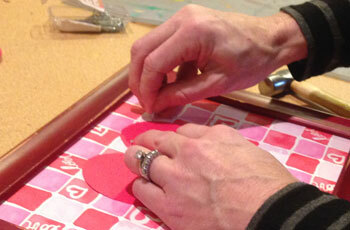 Then, wrap around each nail in clockwise order, completing an outline of the heart. I want to see your creation! Post your work and tag me on Instagram @eileenmckenna. Use #mcrstringheart. 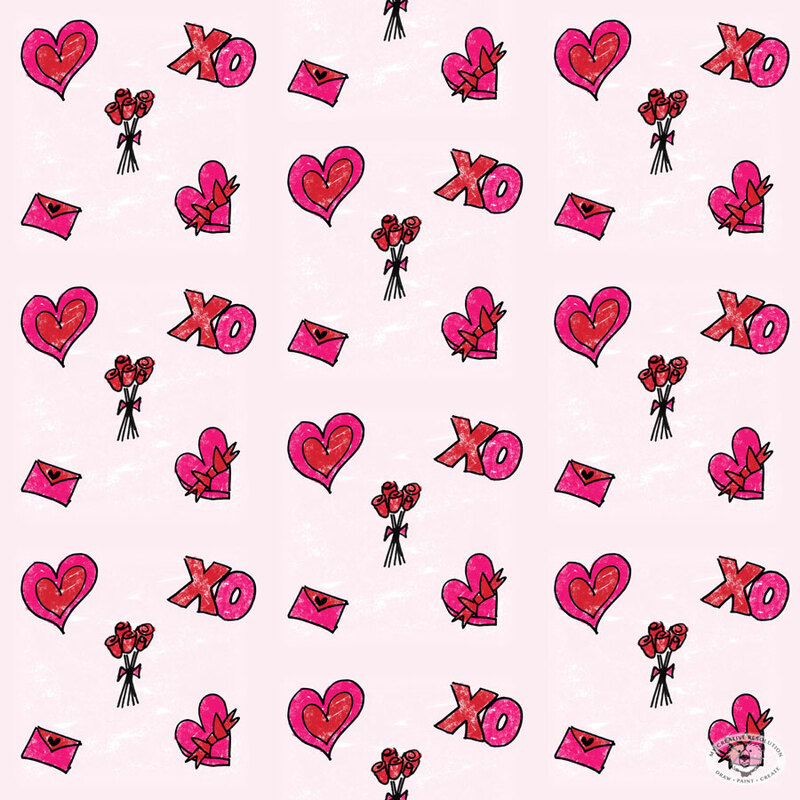 See more of my pattern designs here. 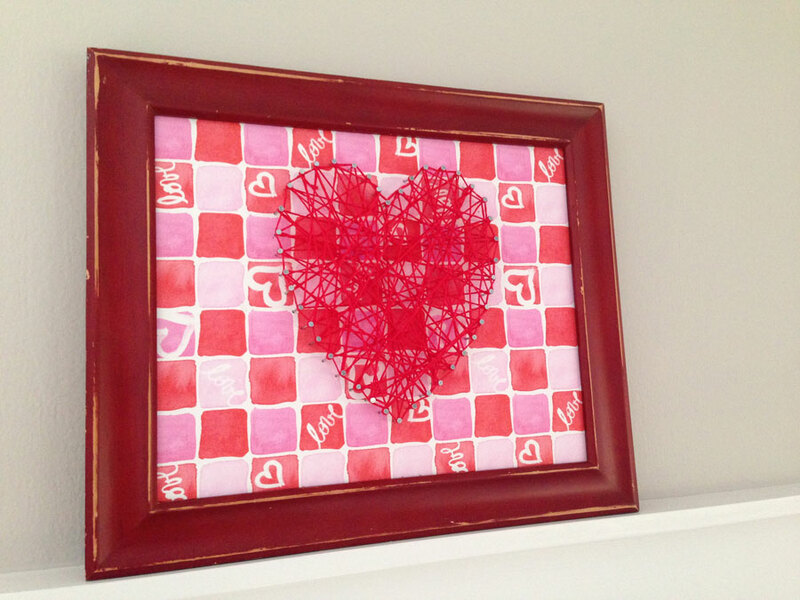 Categories: Craft Project, Patterns/Surface Design | Tags: craft, diy, diy heart, heart craft, heart patterns, string, string art, string heart, surface design, Valentine, Valentine's Day, valentine's day art, valentine's day craft, valentine's day decor | Permalink. 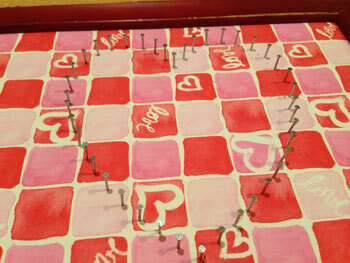 Last year I got into the spirit of Valentine’s Day and created art every day, for 14 days, within that theme. I posted my creations on Instagram. It was a great learning experience, as I learned to dig deeper into a theme – once the obvious ideas were out of the way. I really fell in love with Instagram and it’s power to motivate me. Learn more about my beach heart here. 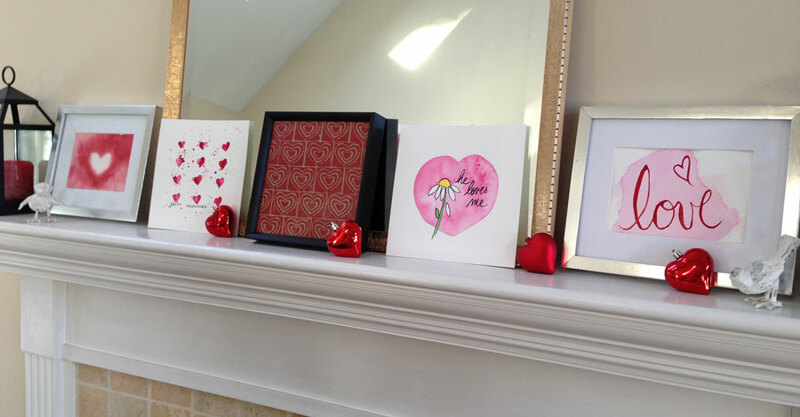 Categories: Inspiration | Tags: arrow, Art, bow, cupid, heart, Instagram, instagram art, linocut, love, roses, Valentine, valentine's, Valentine's Day, valentine's day decor, watercolor, wreath | Permalink. It is an amazing feeling when you are “into” a project and the creative ideas are flowing and you’re excited and inspired and motivated. I’m always better off “striking while the iron is hot” and working on a project when the inspiration first hits me. If I wait, sometimes the spark is gone. The enthusiasm dies down and it’s hard to motivate myself to work on the project. When I’m in the “creative mode” I can move from one project to another and get things done, while new ideas are popping up, and it’s great! I’m on fire! 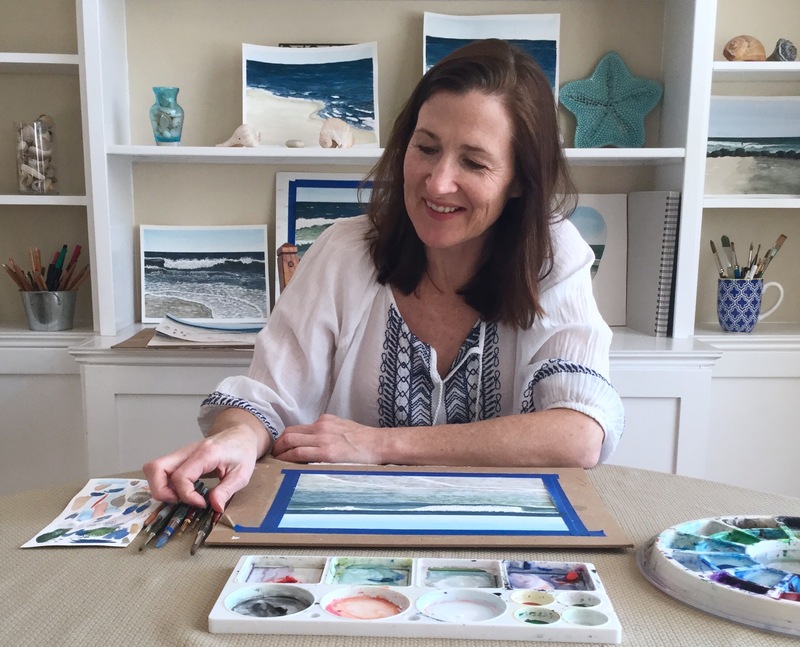 Other times, I spend days thinking, “I should sit down and paint something.” For some reason, it is hard to sit down and do it, and gets harder as the days go by. Once I do sit down, and start, it all seems to come flowing back. I also feel this way about blogging. I’ll be on a roll with ideas and posting, and then a couple of days go by and I start to question myself – “What should I post? I can’t post that!” I get kind of shy and start thinking, “Maybe I shouldn’t share that mistake.” Sometimes I have to remind myself that I’ve made a commitment (to myself) to be honest about my successes and failures. The best medicine, again, is to sit down and share and get the ball rolling again. 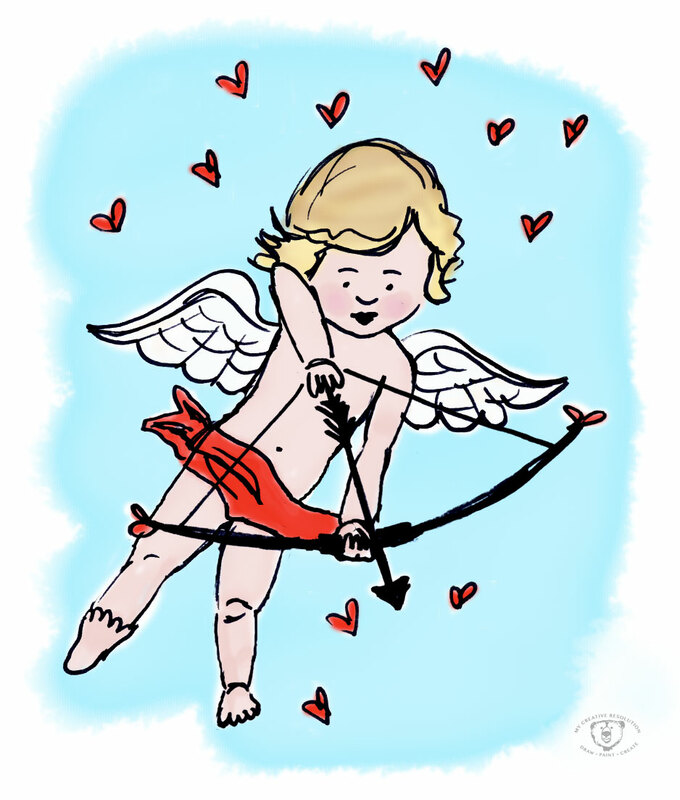 Cupid was a Sharpie doodle in my sketchbook that I scanned and painted in Photoshop. 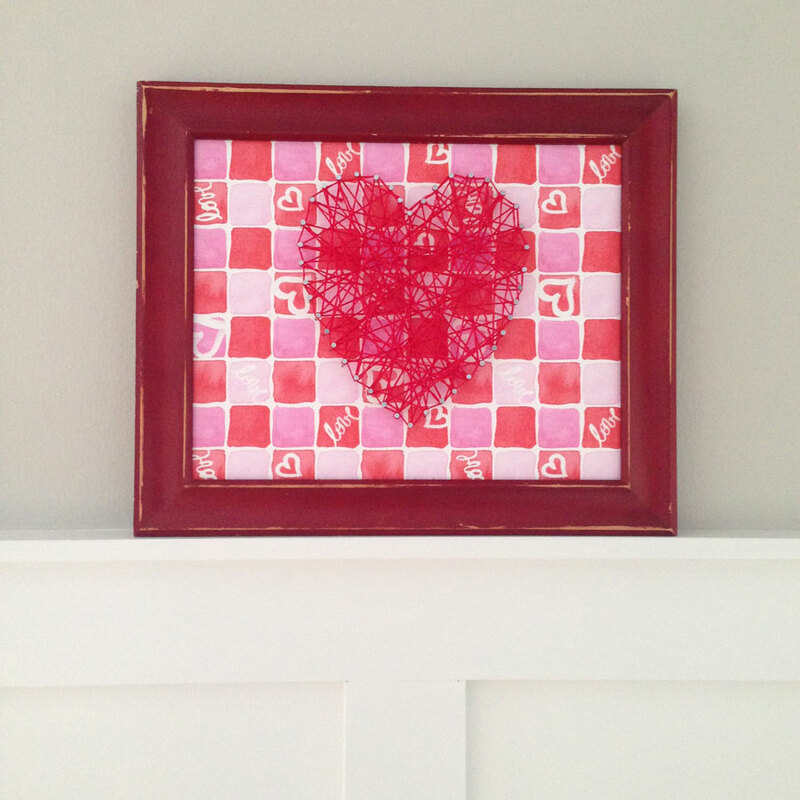 Follow me on Instagram to see my other Valentine’s Day inspired posts! 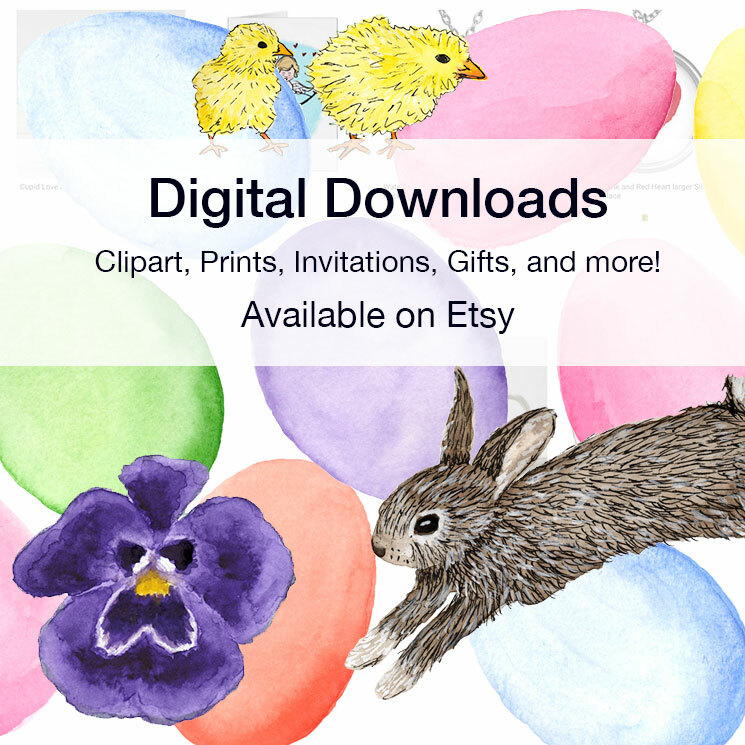 Categories: Inspiration | Tags: Art, cupid, digital art, hearts, illustration, ink, love, Photoshop, sketchbook, Valentine, watercolor | Permalink. Ironically the first thing I wrote in my last linocut post was “Mirror image. 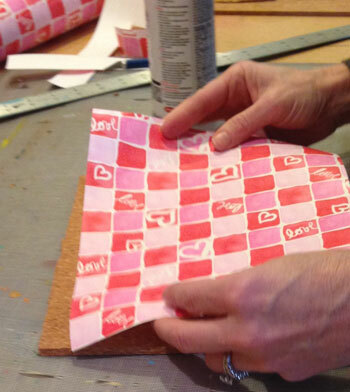 The design prints the reverse of what it is on the block. I keep forgetting this!” and I still forgot! And this time it was text – so you can’t ignore the mistake. Sometimes when I make a mistake this bad I learn my lesson. Let’s hope! 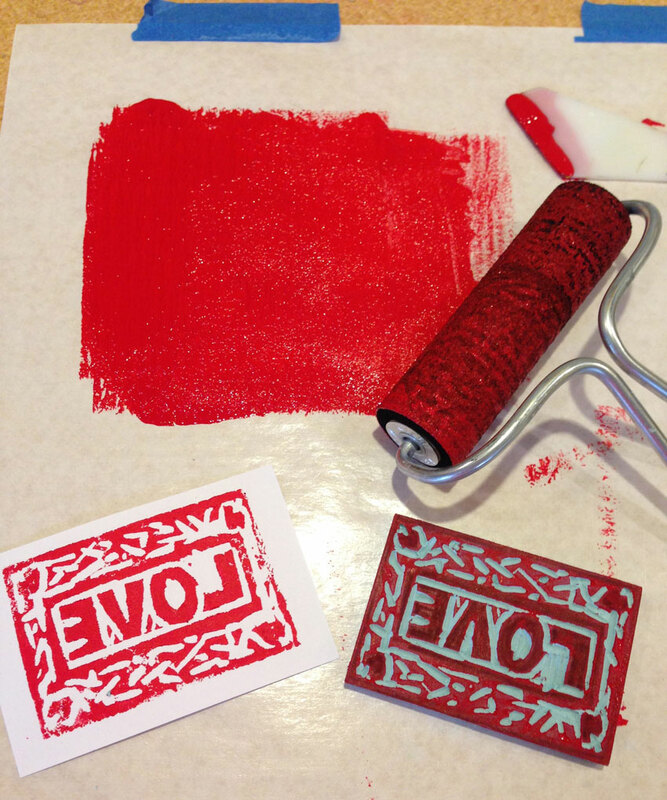 Categories: Linocut | Tags: Art, block printing, linocut, love, printing, stamp, Valentine, Valentine's Day | Permalink.